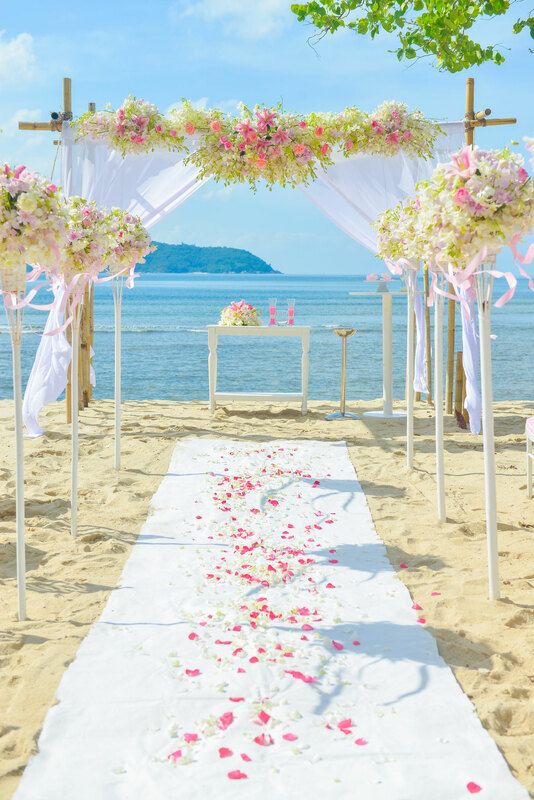 Selecting a favored destination to hold your wedding ceremony has become more popular. It becomes more like a family and friend vacation and great cause for celebration. It is truly an event they will never forget. If you don’t already have a place picked out check the internet for suggestions or contact a wedding planner or travel agent. Look through popular places in the United States, Canada or Mexico. Or perhaps Caribbean and Tropical Islands, Europe, The Middle East or Asia, just about anywhere you can imagine. This takes a little more work and attention than planning your ceremony at the neighborhood church. Discuss and plan your wedding budget. 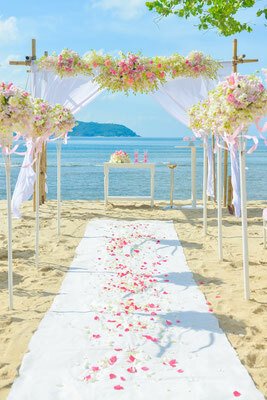 You can find companies who specialize in destination weddings on the web and check their services. If you do a little research first you will be able to ask the right questions and convey exactly what you want. 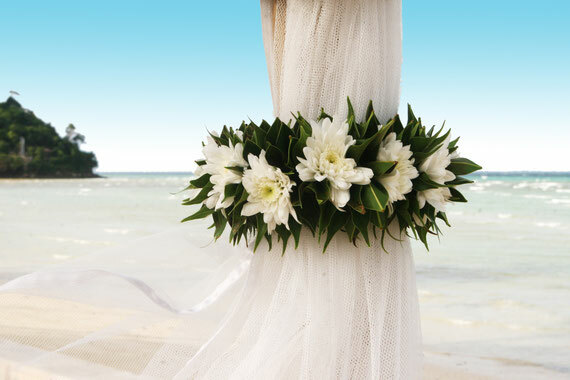 Weddings in Hawaii is one of the most popular choices. 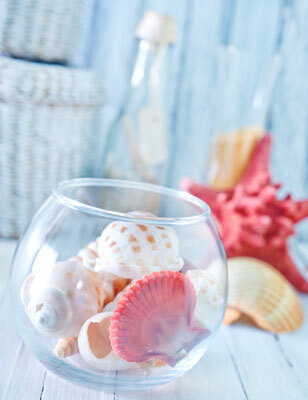 The islands are beautiful and tropical with fabulous beaches, resorts and amenities. Choose a beach, hotel or another location. If you select a specific resort or hotel, they may have a person who plans these weddings. The advantage is that they will know all the local vendors and everything you will need to do to make this a reality. Some other popular choices are Cruise Ship Weddings, Beaches, Tropical Weddings in locations such as the Bahamas, Fiji or a wedding in Mexico. Again, you will easily find planners that specialize in weddings. 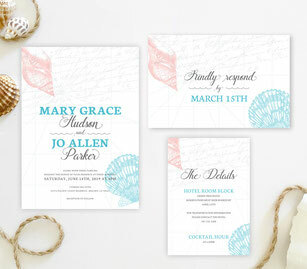 We have some lovely invitation sets to match your destination. Just do a little homework first and understand all the extra things that come with planning such a spectacular event. Planning to get married at the Eiffel Tower in Paris is a wonderful idea as long as you have the time to plan and be organized. The idea of getting married in the Holy Land has become increasingly popular. Check with the city and country of your choice for any special conditions or instructions and make sure you have time to comply with all requests. You will need to take into consideration how many people can actually afford travel and lodging and how much advance notice you will need to provide to them. Make sure they have time to arrange their schedules and get or renew passports if needed. Do not let the details overwhelm you. Plan your budget and picture your ideal wedding and work toward that goal with the help of an expert planner. There is no reason you should not be able to have everything you want if you plan it correctly. You are making an investment in your future by planning your wedding ceremony and it will create memories for a lifetime. 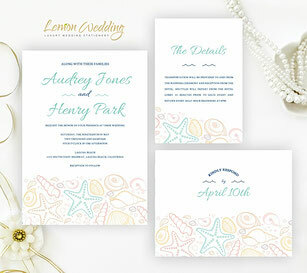 Lemon Wedding Invitations has a reasonably priced selection of special invitation sets for Beach Weddings with Starfish or Seashells, Tropical Settings, or Palm Trees that will represent any Beach or Tropical location. Or maybe you would like to go a little fancier with one of our exquisite silver Lace or Gold or Silver Invitations if you are choosing a city like Paris or Rome. 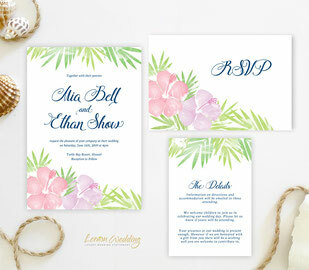 Our invitation sets in Blue, Pink or Green offer some unique designs and features that may fit your preferences. Whatever style you choose our designer will work with you to create and produce the perfect choice. We will help you provide the correct information. Review the array of samples and visualize your names and details displayed in your choice of design, colors and fonts. Calligraphy brings a classic and traditional elegance to any design or theme. 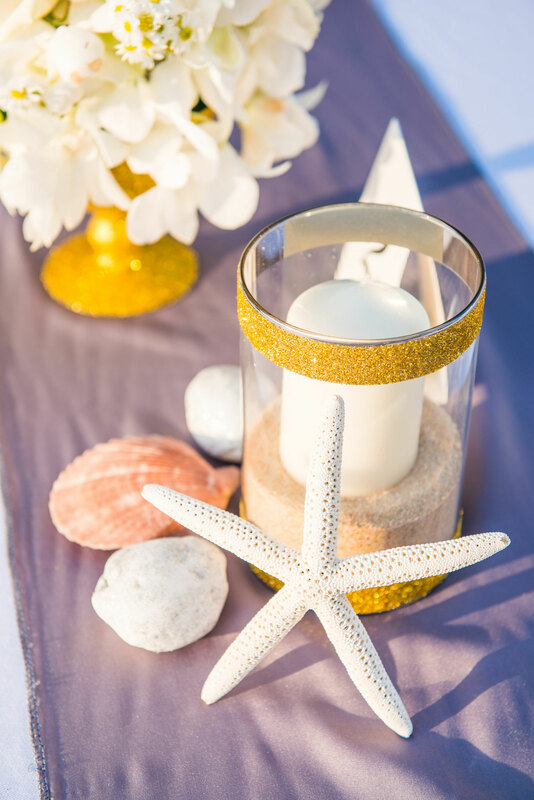 If you are planning an evening wedding, consider the intimately styled Purple and Gold under the stars. For something a little more formal review our Gold or Silver invitations with unique designs. We offer popular color combinations to suit your preferences. 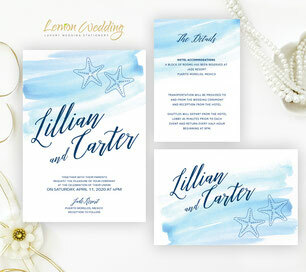 All of our invitation sets are produced on pearlescent cardstock or luxury paper. We take pride in giving you the best we have to offer. We can include all the details including information for guests to make hotel reservations and other special details. And since you are going away to be married, consider including our Wedding Programs in your selection. Our Advice cards make it fun for guests to give you practical tips for a happy marriage that you will cherish for a lifetime. You can see examples on our website. 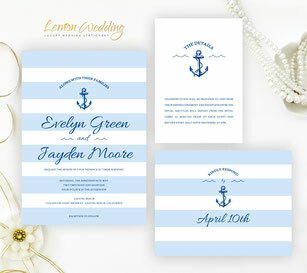 Read our client reviews and you will see that we produce each invitation set as if it were for our own family. Let us make this one of the easiest parts of planning your wedding. 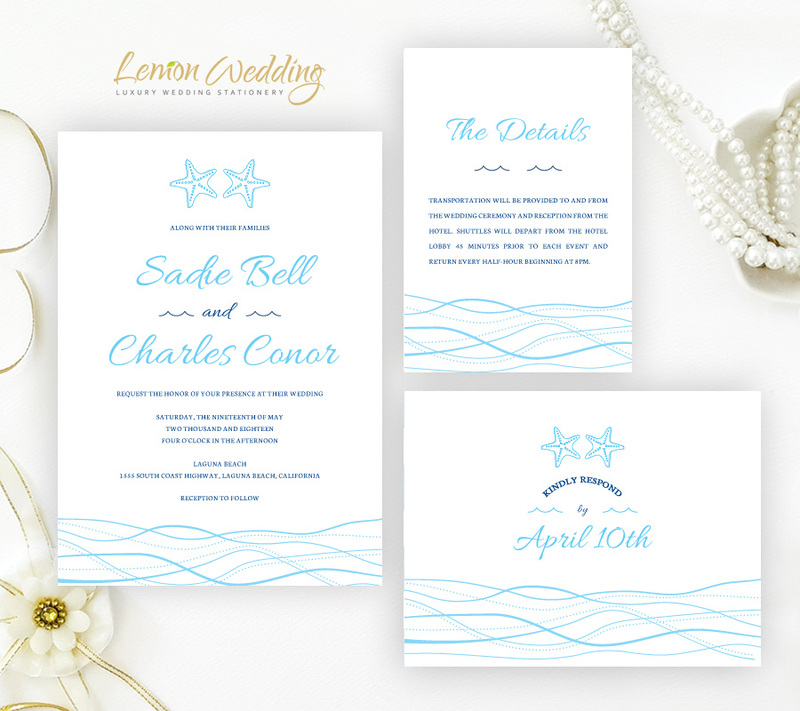 Once you have decided on your perfect destination, contact us so we can help you have your invitation sets as soon as you need them. Allow plenty of time for guests to respond and make plans to attend your spectacular destination wedding. It will be an event of a lifetime and we want your invitations to give them that experience as soon as they open the envelope. 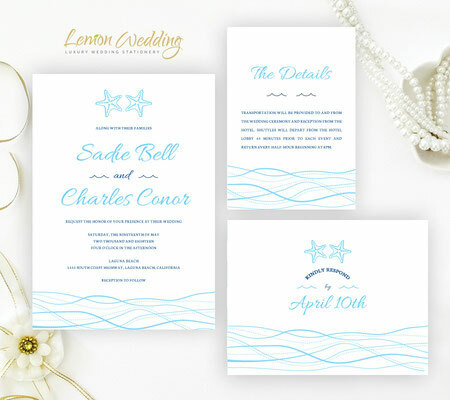 Your family and friends will be excited to attend your wedding in a unique setting and will appreciate the thought and details included in your invitations. Remember this is all about the two of you beginning your lives together. 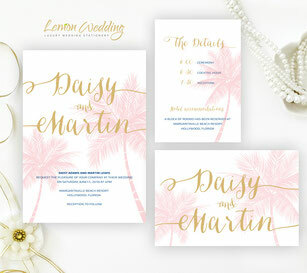 Lemon Wedding Invitations is here to help you make that happen..
Beach wedding invitations, Tropical wedding invitations.